A request from the US Secretary of State last week – that 95,000 registered voters had the status of nationality that could not be determined – appeared to fall apart on Tuesday when local election officials said many of the people were known to be the United States citizens. Some registrants to vote when applying for a driving license at the Texas Department of Public Safety, requiring them to prove citizenship status to government officials. Others registered at naturalization ceremonies, a data point to which government officials said they had no access. Election staff in Harris County, who was home to Houston, said they received 30,000 names – the largest single batch of potential non-citizen voters – from the Secretary of State on Monday. By Tuesday afternoon, they had determined that about 400 of these names were duplicates and 60 percent so far from the others were US citizens. "We are not willing to conclude at this time that we know someone in this list who is not a US citizen," said Douglas Ray, Harris County Special Assistant Attorney. "We can decide it at a later date, and we will examine it very carefully, but as you can tell with the numbers, it does not look good for this list so far," referring to state requirements. Local officials reported similar findings on Tuesday in Fort Bend County outside Houston; Travis County, home to the state capital, Austin; and Williamson County, outside Austin. Everyone said they had been instructed by the Secretary of State on Tuesday to disregard the names of voters registered in public offices. 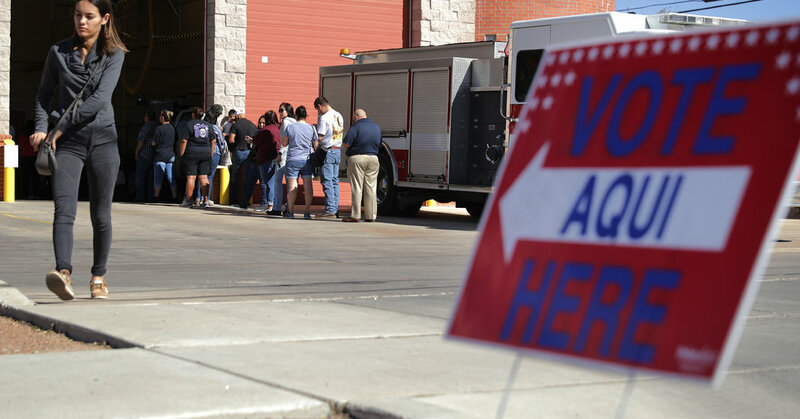 On Tuesday, David Whitley, who was appointed Secretary of State in December by Greg Abbott, said in a statement that it continued to work with local officials "to help them verify that the Texas voters were justified. " "This must ensure that all registered voters who provided proof of citizenship at the time the data subjects vote will not be required to provide proof of citizenship as part of the county investigation," the statement said. In a message last Friday questioned Mr. Whitley's office citizenship status of 95,000 voters. This conclusion grew out of an 11-month survey by the State Secretary and the Texas Department of Public Safety, who declined to comment on Tuesday. Attorney General Ken Paxton, a republican who has never prosecuted individual cases of electoral fraud, quickly reinforced this announcement with a promise to examine the names in the list. A spokeswoman for his office did not respond to a request for comment on Tuesday. Democrats and voters advocated skepticism over state allegations last week and pointed to the possibility of administrative errors and state history of electoral repression. Voter registration in many Texas countries is handled by the tax assessment, a team member from Jim Crow practice to collect a voting tax, Ray says. Voting fees were abolished by the 24th amendment of the United States Constitution in 1964. Kristen Clarke, the lawyer's lawyer's lawyer under the law, called the problems that arose Tuesday a "surprising development." She said Paxton had been "ruthless and irresponsible for driving out with wide, sweeping claims without performing full due diligence." Another group, the League of United Latin American Citizens, filed a federal trial Tuesday that accused Mr. Paxton and Mr. Whitley to violate federal voting law. Mr. Davis, in Williamson County, said his office received a list of 2,067 names this week, including 34 duplicates. It began a "very methodical and very deliberate and careful" study of the remaining names and found many whose citizenship was not in question. "We found some records where two things existed at once," said Mr. Davis. "One was the DPS had identified them as potential non-citizens, but also these same people had registered to vote at the DPS and then had been verified to be citizens." Comparing problems for local officials is that the so-called list In fact, not a list. John Oldham, Fort Bend County Election Administrator, said four of his employees were fighting documents related to 8,035 people his office received on Monday. Bruce Elfant, the tax collector and voter registrar, Travis County, said his office was trying to organize the "jumble" of the information it received on the 4,500 voters in a usable format. He said even a brief review of the information they received turned out to be a "significant" number of people the state secretary has now told them to remove. "I told the Secretary of State this morning," It would have been nice if you sent it in a spreadsheet, "he said." They said to me, "We didn't." Many things would have been nice, I think. "